We are the well-known firm engaged in offering a precisely engineered range of Industrial Heater such as Ceramic Band Heaters, Mica Band Heaters, Porcelain Heaters, Thermic Fluid Heaters, Cartridge Heaters, Immersion Heaters and many more. These heaters are manufactured in compliance with set industry standards using high grade raw material and cutting-edge technology. Offered heaters are strictly checked on various quality parameters. These heaters are highly appreciated for features like excellent performance, longer functional life, less power consumption, high durability and sturdy construction. Owing to the expertise of our highly skilled professionals, we are offering an optimum quality assortment of Cartridge Heaters. 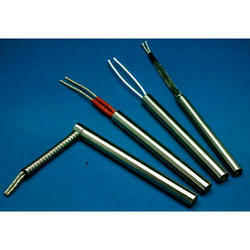 These cartridge heaters are widely used for heating metal parts by insertion into drilled holes. 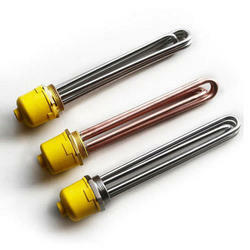 Our offered cartridge heaters are manufactured using premium quality components with the help of latest technology. These cartridge heaters are thoroughly checked on different quality parameters for ensuring their long service life. 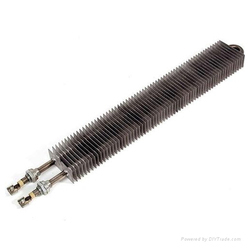 We are a leading organization, engaged in offering a wide assortment of Ceramic Band Heaters that are used for heating metal parts by insertion into drilled holes. The offered band heaters are manufactured using premium quality components and the latent technology at our ultra-modern production units. Checked on various quality parameters, these band heaters are made available in various technical specifications as per the exact requirements of clients. Keeping track with latest market development, we are engaged in providing our clients with a high quality range of Mica Band Heaters. 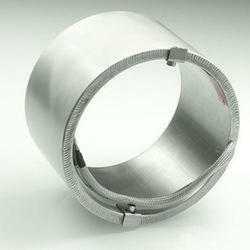 Our offered band heaters are widely demanded for heating metal parts by insertion into drilled holes. These band heaters are manufactured using the finest quality components and cutting-edge technology in tune with market quality norms and policies. 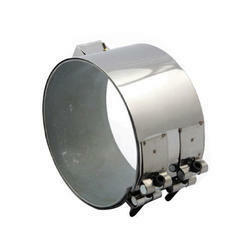 We also offer these band heaters in different specification at market leading prices to the clients. 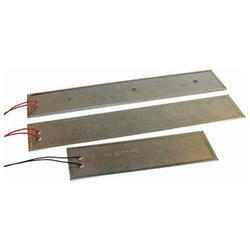 We have marked a distinct position in the market by providing an excellent quality range of High Density Coil Heater. The coil heater provided by us is precisely manufactured with the usage of optimum quality components and high-end technology at our sophisticated production unit in compliance with set quality standards. 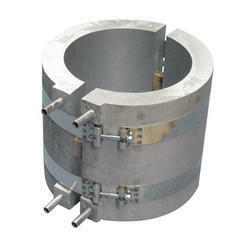 This coil heater is finds wide usage in numerous industries. 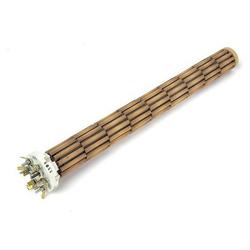 We offer this coil heater at highly reasonable price to the clients. 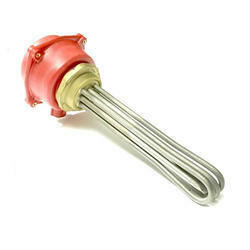 We are a remarkable entity, engaged in offering a high quality range of Coil Heaters. These heaters are manufactured by our experienced professionals in compliance with international quality standards using premium grade raw material. 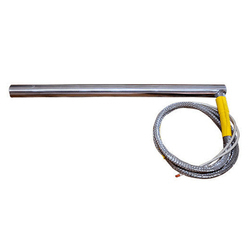 Widely used in Tube Extrusion, Hot Runner & Bushings, Pipe Forming, etc., we offer these heaters in different specifications at rock-bottom price to the clients. With the support of our adroit professionals, we are providing our clients a high quality assortment of Strip Heater. This heater is used or heating of liquids and solids and also for direct heating of platens, dies and other flat metal. Manufactured using high quality materials like aluminum, steel and zinc-coated steel, this heater is ceramic insulated that reduces heat loss. We are instrumental in offering a high quality range of Aluminum Heater that is widely used in packaging machinery, dies, moulds, etc. This heater is designed and developed using high quality components and cutting-edge technology under the guidance of skilled team of professionals. Tested on various quality parameters, this heater is available in different specifications at very reasonable price. 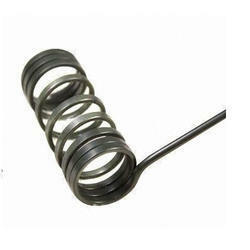 Made of imported fused silica tubing with remountable heating element inside, provided with heat resistant rubber and a connecting cable. It can be used at highest temperatures in all acids, ferric chloride etching baths, anodizing, bright dip baths, except hydroflouric andphosporic. 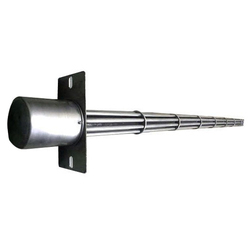 Chemical heater made out of titanium tube & mm dia, for mounting on side of vessels and for easy removal and cleaning fitted with a junction box for terminating the power line. Owing to our in-depth domain expertise, we are offering a quality range of Immersion Heaters that are used for heating liquids. Manufactured at par with international standards using best quality raw material, these heaters are precisely tested under the guidance of our skilled professionals. We offer these heaters in different specifications to fulfill the wide needs of the clients. These are heating elements used to heat the rolls of the corrugation machine which in turn forms flute on the paper. 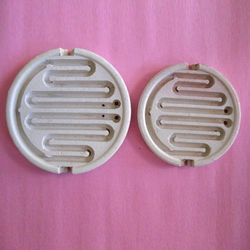 These are specials purpose heating element just designed for corrugation. These are specific models of heaters for different machine models. The heating element is easily replaceable. We have marked a distinct position in the market by providing a high quality range of High Density Cartridge Heater that is a tube-shaped joule heating element. This heater is used to heat any kind of material such as oil, air or sugar. Available in metric and imperial sizes as per the specific requirements of clients, this heater is suitable for applications where heat is required in limited space. We are counted amongst as the leading manufacturers, exporters and suppliers of high quality Plate Heaters. 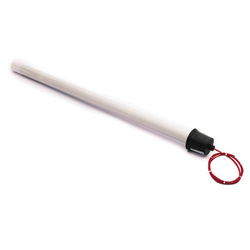 These heaters are designed and developed using excellent quality ceramic material and wound coil. The offered heaters are widely used in houses and are available in different capacities. Our clients can avail these heaters from us at very nominal price. We have emerged as a well-known name in this domain by offering a large gamut of Finned Heaters. These heaters are a simple way to maximize heat intensity and surface area to transfer heat effectively in an area. Designed using high temperature alloy resistance wire, the offered heaters find applications in Ovens, Drying cabinets, Hoppers, Conveyors, Ducts, Drying equipment, Air conditioning, etc. Leveraging on our vast industry experience, we have emerged as the noteworthy manufacturer, exporter and supplier of high quality Casting Heaters. These heaters are used in semiconductor manufacturing, food service equipment, medical equipment, hot glue melt, etc. 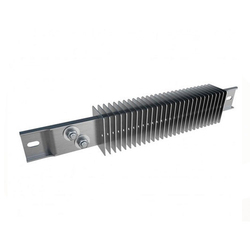 The offered heaters are manufactured from one or more electrical heating elements that are embedded in different types of body like aluminum, brass, bronze, copper-nickel or iron. By keeping track with the industrial developments, we are involved in offering highly efficient Air Heaters. These heaters are designed as per the international standards and are manufactured using utmost quality raw material and latest technology. The offered heaters are suitable for heating oil, water and chemicals. 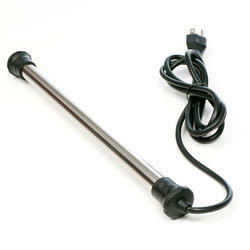 We are the most reliable manufacturer, exporter and supplier of an excellent quality range of Porcelain Heaters. These heaters are manufactured using high temperature bearing insulators and other special elements that are exposed partially in air, which ensures better transmission of heat. 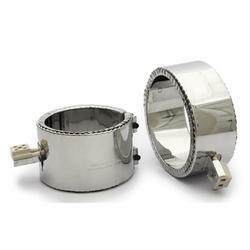 The offered heaters are extensively used in ovens and tanks where draining cannot be done to change the heaters. calcium carbonate hydrochlorite and citric acid. 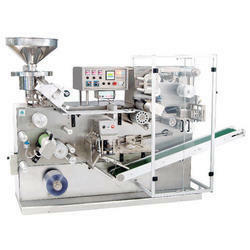 We manufacturer Cartridge Heater for Blister Packaging machine of pharma divison .